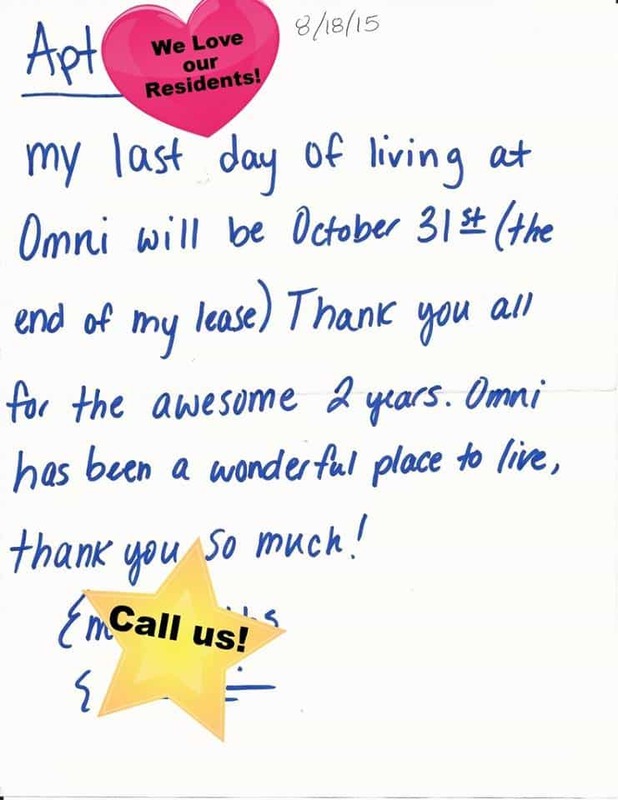 OMNI was a great apartment complex to stay in because it’s quiet, the neighbors are respectful, the entire OMNI staff & Managers were very helpful. 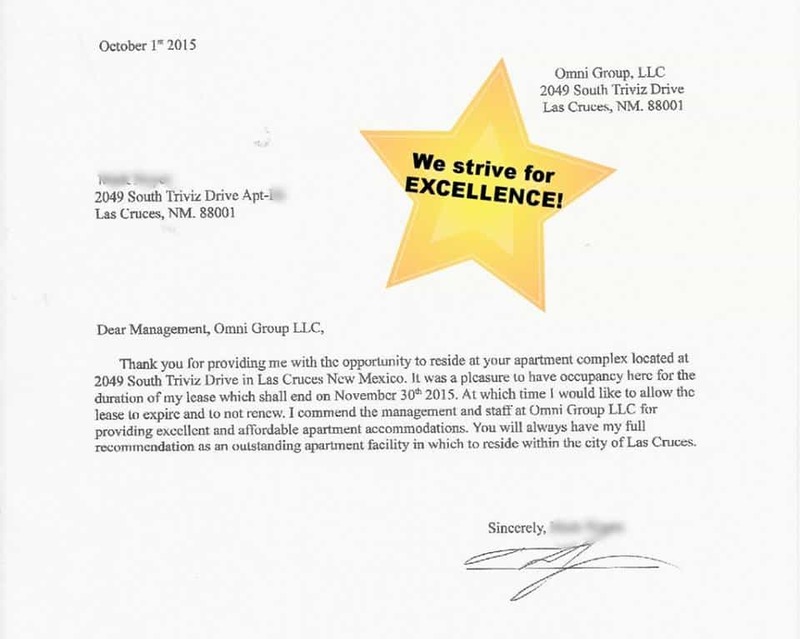 Marisela & Janessa were both helpful whenever I had a question & were always professional. I enjoyed my stay here greatly & will never regret choosing this place to live & accomplish my academic goals. Thank you for accommodating me! I will recommend your establishment to others. My family has loved living here for the 18 months that we have! 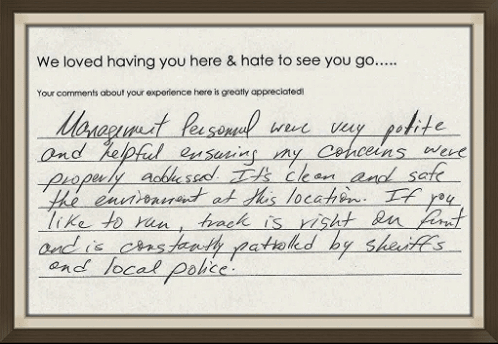 The Management staff is always friendly and helpful. 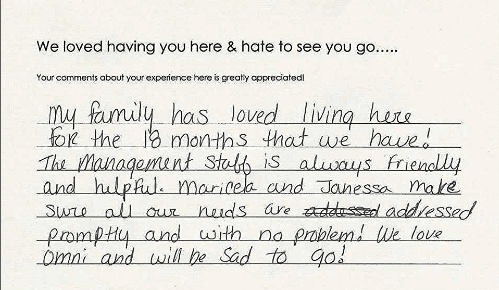 Maricella and Janessa make sure all our needs are addressed promptly and with no problem! We love OMNI and will be sad to go! Management personnel were very polite and helpful ensuring my concerns were properly addressed. It’s clean and safe the environment at this location. If you like to run, track is right in front and is constantly patrolled by sheriffs and local police. Been Great being here no problems. Thanks ​No complaints great service would come back again ? Our Staff is committed to providing friendly exceptional service, including prompt response to maintenance requests, and maintaining an attractive community to live in.